Toasted Coconut Marshmallows from Cavalier. Enjoy this marve-licious marshmallow treat! 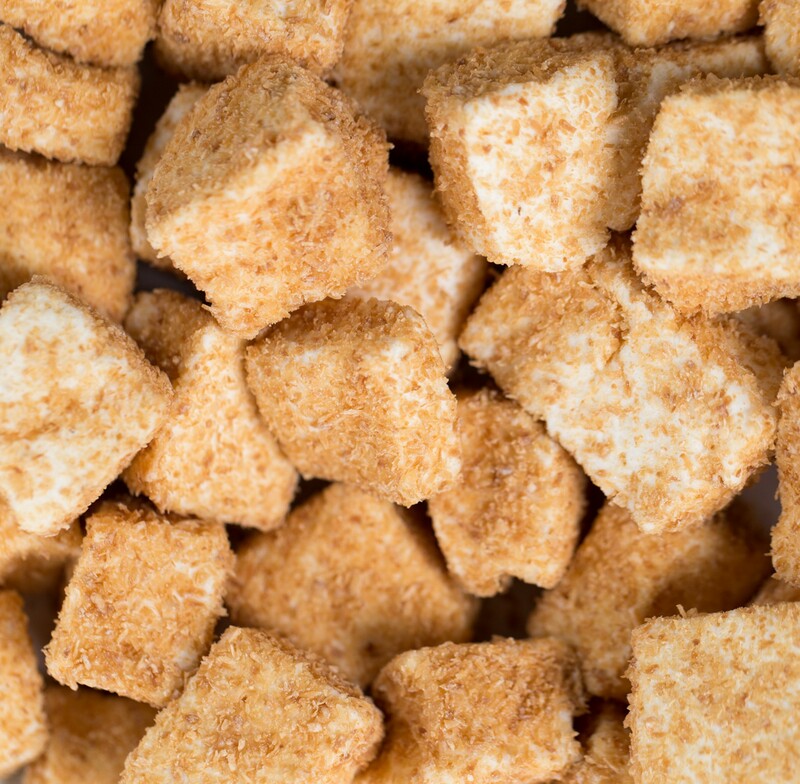 It has toasted coconut crunch on the outside and a soft creamy marshmallow on the inside. Sold in bulk, delivered in a 5.5 lb. bag. There are approximately 76 pieces in each pound and each piece measures about 1 inch square.